Simon W. Robinson Lodge meets regularly on the second Monday of each month, except July & August. All members of the craft are always most welcome to attend. 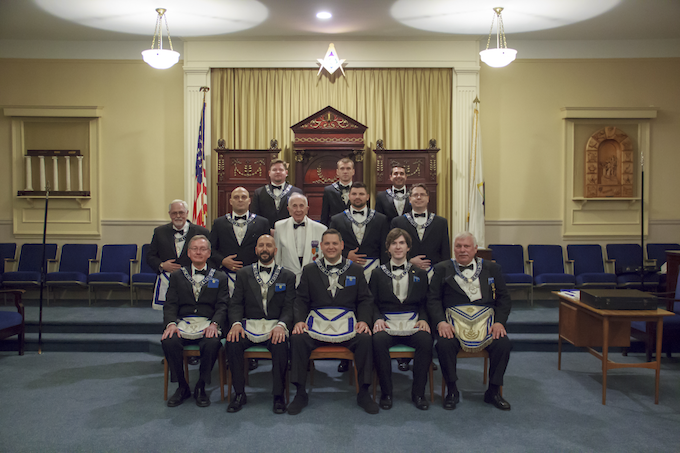 We are located in the Fourteenth Masonic District under charter from the Grand Lodge of Massachusetts. Lodge phone number: (781) 861-1684. Press 2 as instructed to leave dinner reservations. Dinner reservations for the Regular Communications are due the Friday before our Regular Communication, which are the second Monday of each month except July and August. For all general Lodge inquires please email us at . Marshal - Wor. Kenneth Longo, Jr.
At this time we do not rent the hall to the public but may change this policy in the future. We will update this information if anything changes.